Find out what products in your home, vehicle, school or workplace could contain asbestos. Learn which companies used asbestos in their products and manufacturing processes. Get information about what to do if you find asbestos in your home, workplace, or elsewhere. 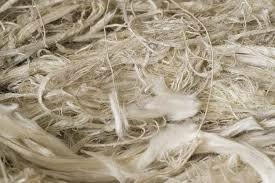 Asbestos is made up of microscopic fibers that can easily become airborne and inhaled. 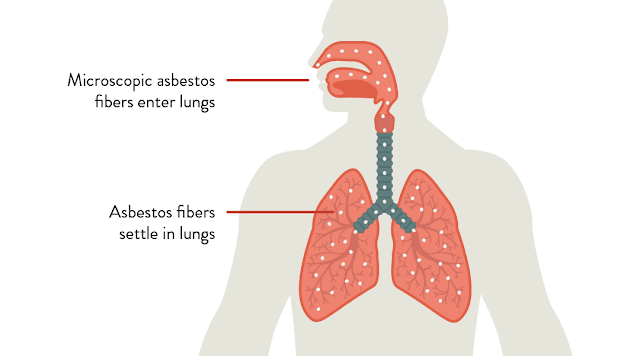 Because of their shape, the asbestos particles cling to tissues of the lungs and other areas of the respiratory system. Mesothelioma — This aggressive cancer forms in the thin membrane (mesothelium) that protects vital organs in the chest and abdomen. Exposure to asbestos is the only medically-verified cause of the disease. Lung Cancer — Most commonly associated with factors like smoking and radon, lung cancer is also known to be exacerbated by exposure to asbestos. Asbestosis — This degenerative respiratory condition results from the formation of scar tissue plaques on the surface of the pleura (lung linings). It can be a precursor to the onset of mesothelioma. Millions of people have been exposed to asbestos due to its extensive use in domestic, commercial, and industrial products. According to the U.S. Environmental Protection agency, there is no safe level of asbestos exposure. There were hundreds of occupations affected by asbestos exposure. Asbestos was used in thousands of commercial products and industrial capacities and those working with the material in these industries are potentially at risk of harmful exposure. Industries in which asbestos use was particularly prevalent included shipbuilding, commercial product manufacturing, power plants, and construction. Workers employed in these industries prior to 1980 likely encountered asbestos products. Veterans in all five branches of the military are also at high risk for asbestos exposure. Learn more about the risks of asbestos exposure in your state by clicking on the appropriate link in the table below. We have collected comprehensive information about potential jobsites where exposure to asbestos may have occurred. All types of asbestos share the above properties, though each individual type may vary in other facets, such as color and tensile strength. The most common type of asbestos, and only kind that is still mined, chrysotile was the most widely used in the world’s developed countries. Estimates show about 90-95% of all asbestos that remains in buildings in the U.S. and Canada is of this variety. Because it was so widely used, it accounts for the most health problems, though the companies that mine it continue to attest to its safety. Chrysotile is most often used in fireproofing and insulation products and was widely used aboard U.S. Navy ships during World War II and the Korean War. As an amphibole variety of asbestos fiber, tremolite asbestos is associated with the development of malignant mesothelioma and other asbestos-related cancers. Like other varieties of asbestos, tremolite asbestos is composed predominantly of magnesium and can range from off-white to a dark green in color. Tremolite is particularly common in vermiculite deposits. Tremolite-contaminated vermiculite was responsible for the death of hundreds of miners in Libby, Montana who worked at the W.R. Grace Vermiculite Mine. Crocidolite asbestos accounted for about 4% of all asbestos once used in the United States. Crocidolite occurs in naturally-formed bundles that are long, sharp, and straight. This “blue” asbestos is harder and more brittle than other types of the mineral and can break easily, releasing dangerous needle-like fibers that are easily inhaled. Crocidolite, without a doubt, is the most lethal form of asbestos. It was often used in making yarns and rope lagging, and as a reinforcement material for plastics. Anthophyllite asbestos, also known as “brown” asbestos, is composed predominantly of iron and magnesium. Its fibers are known to be long and flexible. Of the amphibole subclass, brown asbestos can be found in many talc mines and has been associated with some respiratory disorders. It is not conclusively associated with mesothelioma as other varieties of asbestos are. Because of its rarity, anthophyllite was not often used in consumer products, but could be found in some cement products and insulating materials. Actinolite asbestos is a variety of the subclassification of amphibole asbestos and, as such, its makeup and consistency is similar to other forms of this subset. Made predominantly of magnesium, actinolite asbestos is extremely rare and ranges in color from white to dark brown. Actinolite was not known to be used in asbestos products because of its rarity, but is known to be found in metamorphic rock. As with all forms of asbestos, actinolite is a known carcinogen that can cause mesothelioma cancer. Although the use of asbestos in the United States was essentially halted in the late 1970s, with just a few exceptions, this toxic mineral has continued to have a real impact on the country during the last 30 years. The lives of many individuals have been adversely affected by previous asbestos exposure and this mineral can still be found throughout the country, particularly in old homes, factories, and commercial buildings. This continued presence of asbestos means that it is likely that more individuals will be impacted by the mineral in the years to come. The peak of asbestos use occurred from the late 1930s through the end of the 1970s. Though anyone who was exposed to asbestos can develop asbestos-related diseases, US Navy veterans who served during World War II and the Korean Conflict have the highest incidence of these diseases. Some 30 million pounds of asbestos are still used each year in the United States. The number one cause of occupational cancer in the United States is asbestos, even more than 30 years after its use was essentially halted. Asbestos accounts for 54 percent of all occupational cancers, according to the Asbestos Disease Awareness Organization. Since asbestos guidelines were issued in 1979, approximately 45,000 Americans have died of asbestos-related diseases, including asbestosis and mesothelioma. 10,000 Americans will die this year of asbestos-related diseases (including lung cancer and mesothelioma cancer) and 200,000 are currently living with asbestosis. Asbestos is still mined in several countries throughout the world, including Canada, and is exported to many industrialized and developing countries. No amount of asbestos exposure is safe; however, the longer and more intense the exposure, the more likely an individual is to develop mesothelioma cancer or another asbestos disease. Exposure to asbestos can also increase the likelihood of other types of lung cancer. Smoking also exacerbates asbestos-related diseases. Asbestos can still be found in myriad homes, schools, and commercial or industrial buildings. Asbestos was once used in more than 3,000 consumer products, including common household items such as toasters and hair dryers, some of which may still be in use. Asbestos that is contained and left undisturbed is normally safe. However, when it becomes agitated, broken or otherwise destroyed, asbestos fibers can become airborne and pose a danger to yourself and others around you. Always follow all OSHA rules and regulations related to handling materials or products that may contain asbestos. Failure to do so can result in strict penalties, not to mention severe health problems for you and others. Contractors are required to follow strict federal guidelines related to asbestos abatement for demolition and renovation projects of commercial facilities, public buildings, and residences with more than 4 units. Most single-family residential homes are not required to follow the same regulations as workplaces. However, it is still important for you to take the appropriate precautions when making DIY renovations of your house.